A responsive website adapts to the actual screen resolution without the need of zooming in and scrolling horizontally on smaller devices. Makes the website easier to navigate on smaller devices which will increase sales or phone calls. 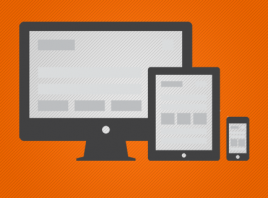 While responsive design can be helpful for many business, not everyone should go the responsive design way. In certain cases it makes sense to just build a Smartphone app while smaller websites can just use a fixed width.